The Ultimate UK Charity Challenge! To register for this amazing opportunity, click HERE. 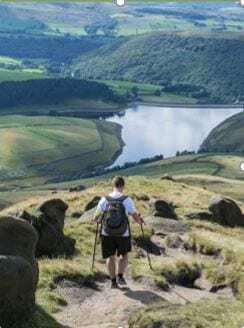 Take on the Trek Fest Challenge with 25km and 50km courses to choose from, whether you walk, jog or run the course, put your best foot forward and take on the ultimate trekking challenge whilst raising money for your local hospice. Set in stunning scenery this Trek is not a walk in the park! You will need to train to be ready for this physically challenging challenge. Now in it’s seventh year, Trek Fest previous conquerors have said this is a life changing adventure and proves anything is possible when you set your mind to it and prepare. There are several payment options you can choose when you register for this challenge. Here is one example, can find out more when you go to the registration page.